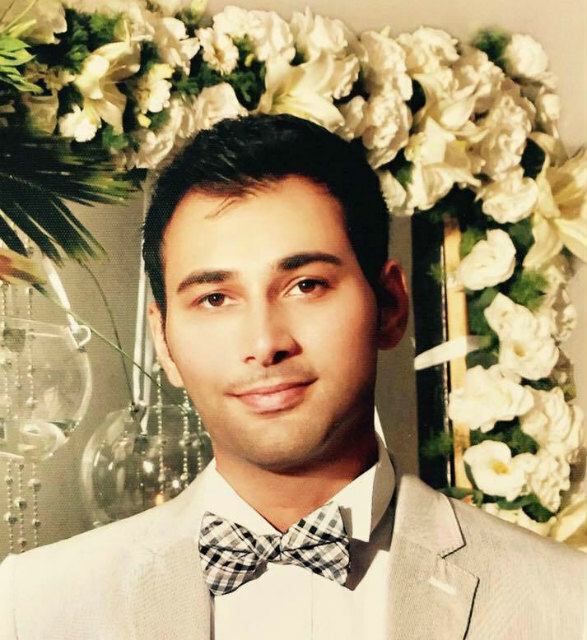 Shayan Mazroei, 22, died after being stabbed outside a California bar. Credit: Justice for Shayan Mazroei Facebook page. The family of murdered Iranian-American engineering student Shayan Mazroei, 22, want authorities to consider it a hate crime. Craig Tanber, a white supremacist gang member allegedly stabbed Mazroei outside a California bar on September 7. Given his gang links and ideology, the family’s attorney Neama Rahmani wants a closer look at Taber’s motive. Witnesses claim that the suspect’s girlfriend described Mazroei as a ‘terrorist’ and said “f—ing Iranians” before Tanber attacked him. Investigators are not convinced that race was a motivating factor. “It’s not even close to have enough evidence to charge it as a hate crime. It is a murder, it is charged as a murder,” said Senior Deputy District Attorney Larry Yellin. Shayan’s mother Shahzad Mazroei could not hide her tears at a recent press conference. A source told the New York Daily News that she had flown back from Iran after learning of his murder. She has lost her son, a promising student of mechanical engineering at Saddleback College. , American-Arab Anti-Discrimination Committee, Council on American Islamic Relations, Greater Los Angeles Area Chapter, Friends Committee on National Legislation, Iranian Alliances Across Borders, Muslim Public Affairs Council, and The Sikh Coalition, submitted a letter to the Department of Justice urging a federal hate crime investigation. The letter read, “It is a tragedy that such a senseless act of violence has resulted in the loss of life of a young Iranian-American man. Reports that such violence was committed as a direct result of Mr. Mazroei’s Iranian heritage are a painful reminder that racism, bigotry, and extremism persist in our day and age”. After the press conference on September 28, the local Iranian-American community held a candlelight vigil outside the Orange County District Attorney’s Office. Before the murder, Tanber was on parole in relation to a 2004 murder. He struck a plea bargain after a mistrial declaration. In 2007, he plead guilty to dissuading a witness by force, street terrorism and assault with a deadly weapon. He received a 13-year prison sentence. Had the conviction for the special murder conviction stuck he would face a life sentence without parole. If convicted of Mazroei’s murder, Taber faces 76 years in prison. A sentence that increases to life if prosecutors add hate crime charges. Others are using social media to spread awareness of the case with the hashtag #Justiceforshayan. A petition to Orange County’s District Attorney’s Office has gained over 5,000 signatures. Taber faces arraignment on October 2.